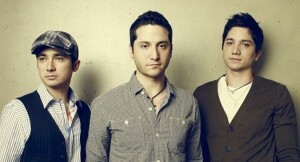 Boyce Avenue have just announced a concert at The Academy Dublin for September 15th, as part of their Irish tour. Tickets priced at €30 go on sale on Friday, May 17th, from Ticketmaster. Florida-based band Boyce Avenue return to Ireland with two dates: one at The Academy Dublin on September 15th, and the other one at Mandela Hall, Belfast on September 17th. The band consist of three brothers: Alejandro (lead vocals, guitar, piano), Fabian (guitar, vocals), and Daniel Manzano (bass, percussion, vocals) and started playing together in 2004. In 2007, they decided to film and post videos of their own songs, as well as some of their favorite songs by other popular artists, on YouTube. They currently have no less than 903,000,000 video views and almost 3,000,000 subscribers on their channel. In 2010, Boyce Avenue released their debut album “All We Have Left”, featuring the single “Every Breath”.